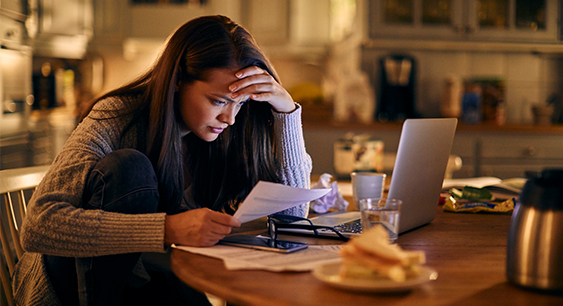 Although suppliers have recently adopted new policies in a bid to make the domestic energy market simpler, clearer and fairer, many customers still find themselves mislead by some of the tactics used by unscrupulous energy salespeople. Energy salespeople may visit you at home, contact you by phone or approach you in a public venue such as a supermarket. In all cases, it can be useful to be aware of the rules that help protect consumers against aggressive or misleading sales tactics. The following are some key things you need to know in the event you are approached by a salesperson claiming to be from an energy company. All suppliers are required to inform you in advance if they’re sending someone to your home. Salespeople are only allowed to visit your home during certain hours (between 9am and 8pm), unless you have arranged an appointment with them outside these hours. You don’t have to let any salesperson into your home if you don’t wish to. If you’re unsure about the situation, consider asking a friend, family member, carer or neighbour to be present. Organisations such as Citizens Advice and Ofgem do not sell electricity or gas. If you get a visit from someone claiming to represent these organisations, report it to the Citizens Advice consumer helpline. Salespeople must provide their company identification without being asked. They may provide you a number to call to confirm their identity, but it’s better for you to look up the number of the company they claim to be from, to make sure you’re calling the right people. They must first check they’re talking to the person responsible for paying the energy bills. They must be honest about why they’re calling on you. They must be honest about prices, and give you correct information regarding tariffs. They must give you an estimate of how much you would pay for the whole of the next year if you sign up to their tariff, and explain how they reached this estimate. -Telling you the offer is only available today. -Asking you to sign something in order to receive a quote. -Telling you that you need to sign something to confirm they visited you. -Telling you that you need to sign something before they can leave your home. -Telling you that you need to sign something before they can read your meter. They should not try to sell you energy-related items. Some common scams include: -Claiming they can sell you a pre-loaded prepayment key, token or smart card. -Claiming purchasing a prepayment card can mean a discount on your energy bill. -Claiming a product can help you save energy. Asking them which company they represent. Asking for a written comparison between what you currently pay and the price they are offering. Making sure the quotation they offer is based on your actual annual consumption, rather than the figures for an average household, or something they have estimated – these estimates are often much higher than they should be. If you ask for further information to be sent to you, be clear you’re not agreeing to enter into a contract by doing so. Don’t sign anything or give your payment details unless you’re absolutely sure you want to switch to what they’re offering. You should not feel pressured to sign up immediately. Receiving a call from a salesperson by telephone is also known as cold-calling and is a form of distance selling. You have certain rights under the law regarding distance selling practices. If you agree to switch supplier during a distance selling call, you usually have a cooling off period within which you can change your mind without penalty. An accurate description of the product or service. The total price of the product or service. Any rights you have to cancel. Any delivery or installation costs. Do not give your payment details unless you are completely convinced of the veracity of the above. Whichever way you’re approached by a salesperson, remember that you are not obliged to discuss your electricity and gas needs with them – politely tell them you’re not interested and they should leave you alone. If they call on you at home, they must leave if you ask them to. Under the Consumer Protection from Unfair Trading regulations, you can call the police if they refuse to leave when asked. Explain the main terms and conditions of the contract before you sign any documents. Provide you with a copy of the contract, either at the time or as soon as possible. Explain what the next steps will be. Give you information about the cooling off period (usually fourteen days) and your right to cancel if you change your mind. Give you information about how and where to complain if you’re not happy with your purchase or the service you have received. Contact you within fourteen days to confirm everything, and tell you the date you will be switched. You’re unlikely to be able to get a refund if you’ve unwittingly bought something from a doorstep salesperson. You would need to find the person and take them to court, which can be difficult if they provided false credentials. If you’ve been switched to another supplier without your consent, you can speak to either your old or new supplier – both suppliers should treat the switch as an erroneous transfer and reinstate your old account. Telling you the steps they’ll take to deal with your complaint. Telling you how long the procedure is likely to take. Trying their best to sort out your complaint to your satisfaction. Offering you any compensation due. You can decline any offer of goodwill from your supplier if you’re not satisfied. Your supplier should send you a letter of deadlock if they are unable to resolve your complaint to your satisfaction. You can then choose to take the complaint further by contacting the Energy Ombudsman. If you do not receive a letter, you will need to wait at least eight weeks from the date you first make your complaint before contacting the Ombudsman. If you are classed as a vulnerable energy customer, you may be able to get extra help with your complaint.